Fans of a paintball game typically want to find a reliable place where they just enjoy themselves and playing. They may be looking for a little variety, which can help keep their competitions interesting and challenging. If you enjoy paintball and live in the Minneapolis area, you should come check out Action Packed Paintball Games. We are one of the most popular paintball destinations in the cities and many people have found that they can host the perfect paintball game here. If you haven’t ever thought of the right place for your team yet, think about talking to the staff here. They can show you some of the different courses that are available. When you play a paintball game, you may need to have some support to help keep the game running smoothly. The Action Packed Paintball Games center will help you restore your paintball guns to good working order. They can refill CO2 canisters or provide you with extra paint balls, which you can purchase for just a nominal fee. This will help make sure that your tournament game runs smoothly. Talk to the knowledgeable staff here if you would like to find out more information about setting up games. They often keep a detailed schedule of when other teams might be looking to start a competition. There are quite a few people who will also want to check out the advantages that they can get when they rent out different courses. 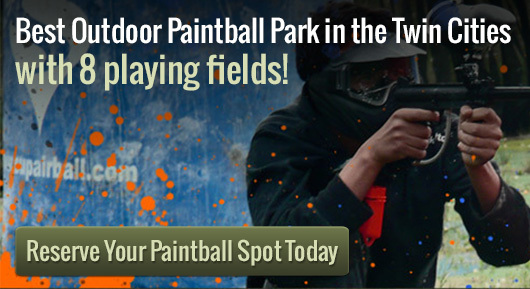 The Action Packed Paintball Games center has a comprehensive set of courses that could be found anywhere around. We have a standardized paintball game course, which can help people set up a tournament. The center also features a wooded area that can simulate jungle combat conditions. Give us a call to reserve your group’s spot or join us for walk-on play.